Hello FRIDAY! I actually think this week went by rather quickly but mainly because we were happy to have another guest staying with us for a few days! Zach and I love entertaining, especially for people and friends we haven't seen in such a long time. It was such a treat having Wes here in Atlanta. Let's chat about some Friday Favorites shall we? I'm linking up with a few other Mom's to share in my little delights this week. Link up as well or write some of what you're enjoying in the comments below. 1. Coffee. Ugh it's down pouring here in Georgia this morning and the only thing getting me out of bed today was a hot cup of coffee. 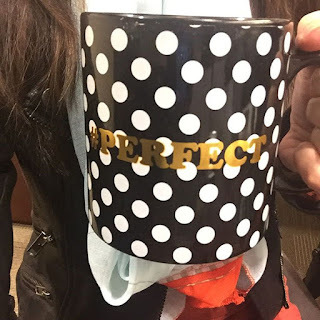 Plus as always this #Perfect mug makes the picture on my Instagram. It's from Nordstrom Rack by the way! 2. Lincoln Park After Dark. If I'm wearing any nail polish color at all, chances are 9/10 it'll be a light pink or a white color. Suddenly I must have had the world shift because I'm really drawn to this almost black light color. It may be coming a new favorite of mine. 3. Pantry Clean Out. 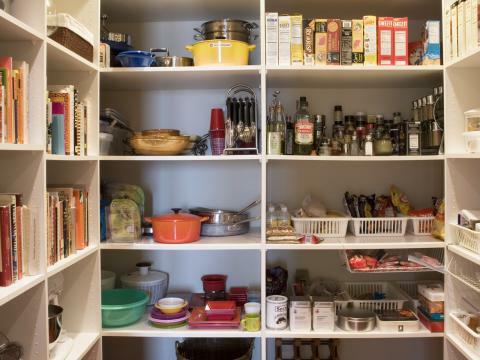 Stay tuned for Monday as this weekend's home organizing challenge is organizing the pantry. Since moving into our new house 4 months ago, it's been a huge dumping ground for random things so I'm actually really anxious to make it look and feel functional. Am I the only one who loves doing things like this? 4. RIP Snape. Ok so this isn't really a favorite but I had to share. I'm a huge Harry Potter fan and I re-read the series every year. No really. I have since I started reading it at 11 years old and let me tell you, it really does get better every year. Right now I'm listening to the audio version since I drive an hour to work and I love it! Yesterday, hearing the death of a beloved character played by such an incredible actor, Alan Rickman really gutted me. I loved how so many people came together to commemorate such a beloved man. 5. Book Club. Don't forget to vote for the book you want to read in February on my side bar! 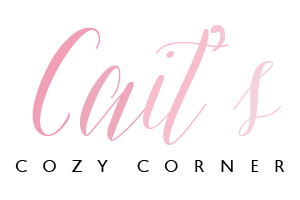 So many of you have such great taste and if there is ever a book you'd like to recommend for another month, please email me ( CaitsCozyCorner@gmail.com ) :) Hope you'll join the fun and tell your friends too! Share what you are loving this week in the comments below! Such a fun idea with the Book Club! I've read all 3 and they're great! I voted for Year of Yes because it's so good. The audio version is hilarious! audio versions are always great and so glad you love all 3 :) hope you'll join in even if you've already read them! xo happy friday brittany! 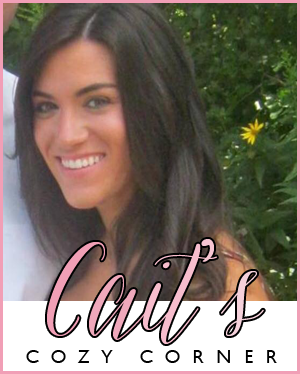 Happy Friday, Cait! Thanks so much for stopping by my blog this morning! So nice to "meet" you and have the chance to return the visit and check out your sweet blog! Loving that mug! Too cute!! Such sad news about Alan Rickman. He was such a talented man. Wishing you a beautiful upcoming weekend! Seriously? Coffee & Polka dots? My fav! Have a great day, Caitlin! Love that mug. I almost bought one similar on amazon! That nail polish is amazing. I bought some matte looking color in silver and it is super cute. Great idea for a book club! I will vote :) Happy Friday! That mug is adorable! Also, I LOVE Lincoln Park After Dark! I was never a dark polish gal but lately I have taken to wearing darker colors. I have black with tiny sparkles on my digits right now. (I cant recall the name of the color but it is OPI gel.) I am having total pantry envy right now! You have so much space! Lucky! Nice to meet you and thanks for stopping by! Have a fabulous weekend! Oh my gosh obsessed with that nail color!!! I am with you on the Harry Potter obsession! I could read the books over and over again. I loved the movies too, but nothing beats wrapped up in a blanket reading Harry Potter! That nail color - swoon, and I normally don't like matte nail colors. I may join the book club for February! Love that nail polish! And I'm actually going to Chicago tonight for a bachelorette party and we're staying in Lincoln Park! How funny. Ugh Snape. It is jarring. He brought that character to life so well! It's pouring here in Florida too! Coffee lovers unite. What a cute cup! That nail polish is fabulous, and I'm really loving that coffee mug! I am sad about the passing of Alan Rickman as well & it makes me want to go have a Harry Potter movie marathon this weekend. 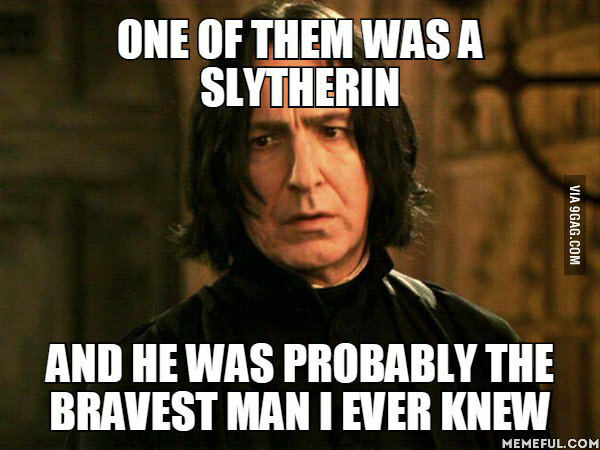 He will be missed but will live on forever in the hearts of HP fans as Snape. Oh I love an organized pantry (confession.. I was really introverted as a kid/teenager and I used to think it was a fun Friday night project to go through and organize my closet. Seriously.) our new house has a really small pantry which I 'm sad about... yours is amazing! And speaking of sad... Alan Rickman.. oh my heart... LOVED him... I re-read Harry Potter too, it's one of my favorite series. Love your nail polish! You are not the only one! I absolutely love cleaning out and organizing! I am loving that nail polish. My nails are in desperate need of painting and tonight seems like the perfect night (hubby is going to a baseball dinner thing and I have the house to myself after the girls go to bed). I am loving that coffee cup and hope it is still at Nordstrom Rack where I live. I have to get a birthday/going away gift there this weekend. Thanks for sharing! Hi from the link-up! Totally jealous of your huge pantry! Hope you have a great weekend! I love that mug!! Cute mugs are the best. And those nails - gorgeous! I am a huge fan of matte! 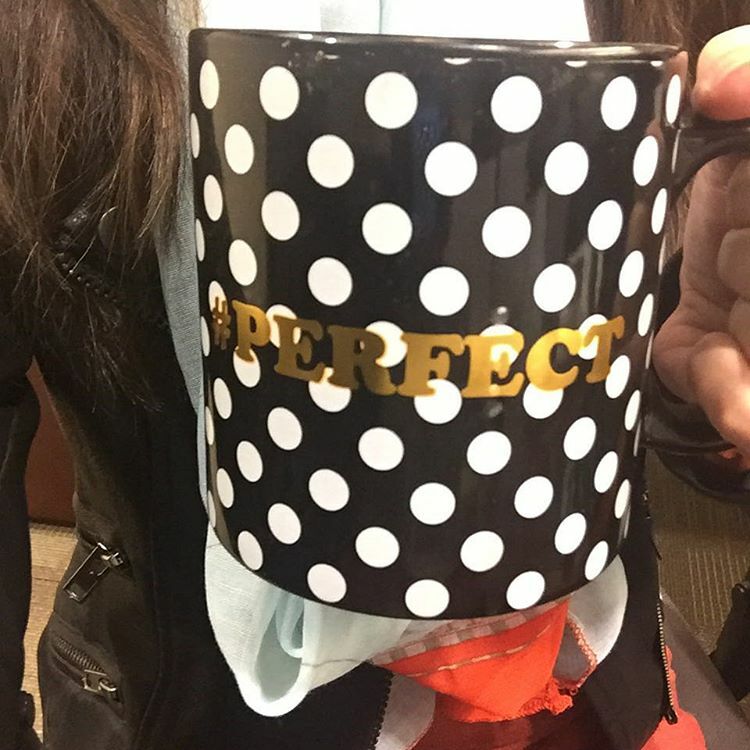 What a fabulous mug, lady! Perfect for a dreary day! So sad about snape, so so so sad! it's a rainy, coffee filled day here in STL too. Thanks for popping into my blog. Glad to have discovered yours now. Cait - First of all thanks for stopping by my blog. Second, LOVE, LOVE, LOVE that mug. I'm currently drinking coffee out of an adorable Snoopy mug. Third, glad to have found you! happy friday! My pantry needs an overhaul, too. However that is going to have to wait because we are ripping up our carpeting this weekend. The new carpet will be installed on Monday. I can't wait! My HP-loving kids were so sad to hear about "Snape." What a loss! It seems like cancer has been striking so many stars lately. Thanks for stopping by my blog and leaving a comment. Have a good weekend! I actually just had my toes painted in Lincoln Park..was worried it would be too dark on my nails so I went with Black Cherry Chutney and it is almost as dark but just a little more purple. And girl - I LOVE cleaning out and organizing stuff. I swear, I was born to do it! Haha. I'm trying to clean out our entire house little by little in hopes to declutter since my word for 2016 is "less." I'm currently cleaning out my closet and feels fantastic to be getting rid of so much stuff. I need to do it more often! Have an absolutely fantastic weekend! We're heading to ATL tomorrow so it should be a fun one for us! I'm still all torn up about Alan Rickman. I watched Love Actually last night and cried! Mean old Harry. But such a great actor. The kids and I are watching Harry Potter tonight. He really was (or atleast seemed to be) such a great guy and actor. Thanks for stopping by my blog today. Returning the love. Okay, curious, tell me about the book club? You have me there. Love to read and love reviewing books. I'll be back to vote once I know what I'm voting on. Oh my goodness girl! Harry Potter is a huge part of my life, I started reading when I was little. I was so sad when I heard about Alan Rickman. I love how large your pantry is too! It will feel so good once it has been organized, I'm an organized freak lol. Thanks for stopping by my blog, I hope you will keep stopping by! I am going to check out the book club! love love love the nail polish color!!! So glad to find your blog this week! Thanks for reading mine! I love your nail color and fun coffee mug! I'm a HUGE HP fan as well, sad week. I love the matte nail polish! It's been raining a lot here lately too so I've had a continuous mug of tea flowing. Warm and cozy! Thanks for visiting my blog. I am sad Alan Rickman died as well. I like your dark nail polish too! I'm pretty much continuously re-reading the Harry Potter series. One HP book, another newer book, a HP book, and so on! There is nothing else like it!! Hey there! 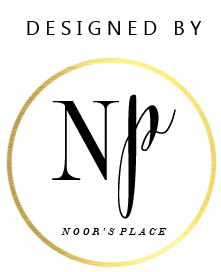 Thanks for stopping by my blog, of course I had to return the favor! 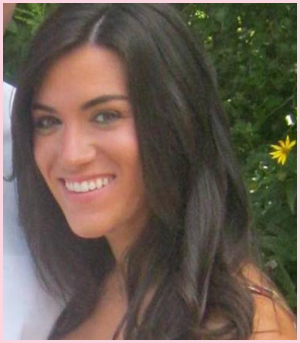 :) Your blog is adorable and I can't wait to stalk more of it. I am always a light nail polish person too but I'm drawn to that dark too! I can't wait to see your pantry makeover! 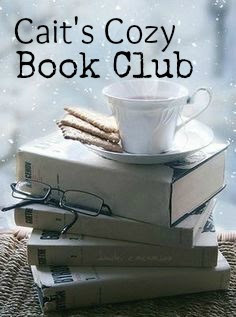 A book club is such a cute idea! And I've been rereading the Harry Potter series since Kindergarten. Such a heartbreaking loss. Thanks for stopping by my blog, I'm glad to have found yours! Absolutely loving that nail polish color, so cute and I am always a sucker for a fun mug. 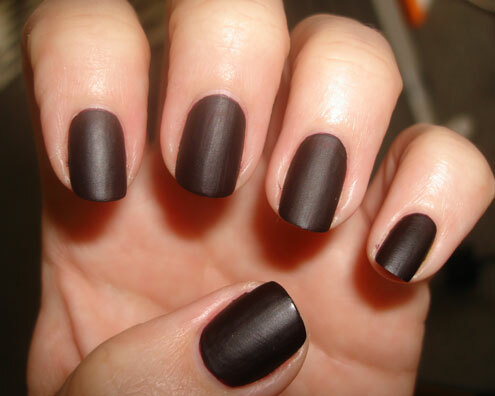 That matte nail polish… I really want to try some!!! Just popping in from the link-up...so happy to find your blog! And the books sound terrific! I love the idea of a blog book club! Loving the matte polish! I just got into the whole matte polish thing and I must say I'm hooked. The blog book club is such a great idea. matte polish? I've never tried it! I have Lincoln Park at Night the purple - but I may need this one for winter! Love!